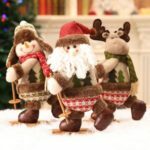 These cute dolls are the ideal choice for Christmas home decor, fireplace and window sill decoration. 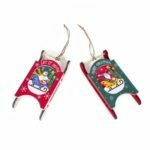 They will add a touch of Christmas luxury to any family. Put it in your living room, bedroom or car, you’ll have a good mood whenever you see it. 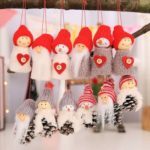 This kind of doll with Christmas them elements adds a strong festive atmosphere. You’ll have a good mood whenever you see it. 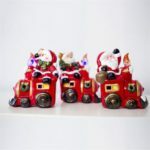 Featuring Santa Claus, snowman and bear in car design, full of Christmas atmosphere. These cute ceramic dolls are vivid, both artistic and innovative, can decorate your house perfectly. Nice Christmas gift for your kids, friends, families and anyone you love. 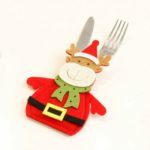 Also can be placed in the living room, bedroom or car as an ornament.